When Samuel Mathers included Enochian within the Golden Dawn system, he used a manuscript called Sloane 307 which he found in the British Museum. The document post date’s Dee by some years and is a practical way into the later Dee work. There was a belief that Sloane 307 represented a magical tradition using Enochian dating back to a closed circle around Dee. Unfortunately for Mathers this was not the case. Sloane 307 lacked some important material from the first five of Dee’s diaries and was probably based on a person who had gone through the published version of “A True and Faithful Relation of What Passed Between John Dee and some Spirits” by Meric Casaubon and cobbled together a working magic system. Casaubon had managed to find all Dee’s Diaries other than the first five books and edited these to fit his theories about how occultism could make a sane and clever man go mad. 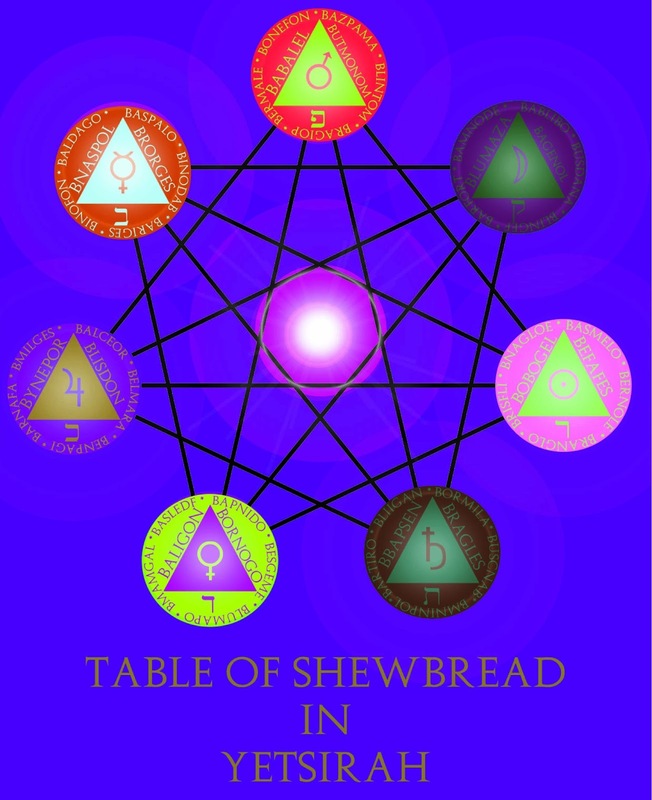 The early Dee diaries give information on the assembly of the table, the seal of truth and the Heptarchia system of Angels. All important if you are going to recreate Dee’s system of Magic but less widely used by Golden Dawn magicians. In the 1920’s one of the leading lights of the Golden Dawn in New Zealand, Ewan Campbell visited the UK and conducted some research at the British Library on the Dee manuscripts. Whare Ra member Percy Wilkinson told me that Campbell realised there was a lot missing from the conventional GD Enochian system and came back with lots of copies of the diagrams. According to Pat Zalewski, Campbell was tipped off by Langford Gaston who was the head of the AO, so it might mean that Order was conducting a similar review of the Enochian system within the GD. Mathers was aware that the material existed. He had written a paper called “The Seven Days of Creation Applied to the Seven Branched Candlestick” which has been lost. 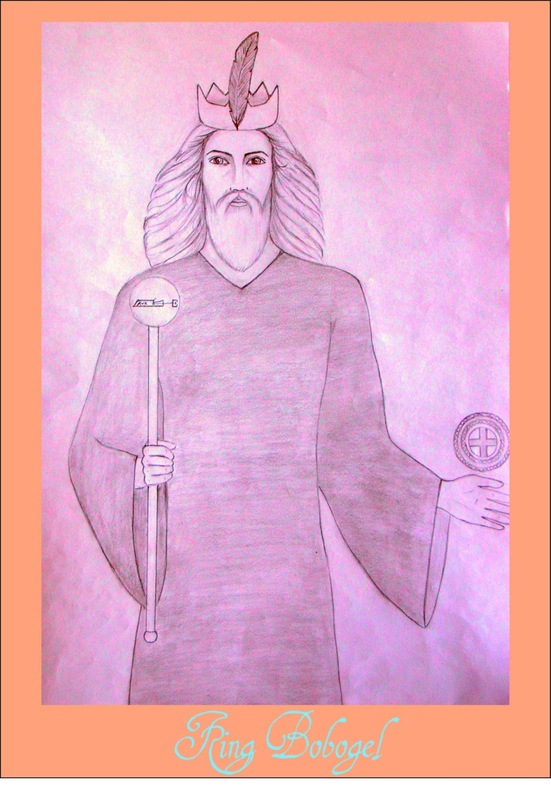 In his book Golden Dawn Enochian Magic, Zalewski has done a fine job in recreating what that document would have looked like. However it is a work for adepts in the Golden Dawn system and provides a lot of detail which in the Outer Order is not needed. However there is something in the Angels of the Bonorum which would be very useful to those beginning the path of magic and connected to the 1=10 grade. In the Magical Order of Aurora Aurea we feel it will give the Zelator a basic form of ‘low’ magic which they can use to fulfil their needs in the Outer Order while a the same time performing the Higher Magic of the grade work. You will be tested on the names and attributions of the Kings and Princes of the Bonorum but will be not required to demonstrate magical use of the system. The Angels of the Heptarchia and these appear to be the Yetziratic levels. They are essentially the Briatic Archangels as they manifest in Yesod. 1. Wit and Wisdom with the magical image of a book. This is intellectual knowledge. 2. The drive to rule and administer people with the magical image of a crown. 3. The desire for material comfort. Business and trade, represented by the magical image of robes. 4. The element of Water, with the magical symbol of a four footed animal. The angels were formed by combining one letter from each tablet. They have aspects of each of them and therefore can control over every aspect of the Nephesh of a person, and that of the whole of the world. There are 49 Angels; seven kings (Kether of Yesod), seven princes (Tiphareth of Yesod) and 35 governors (Yesod of Yesod). The seven kings carry the ‘idea’ of manifestation into Yesod. The Princes job is to make it happen and they have a similar function to planetary intelligences. Their names are: Bornogo (Venus), Befafes (Sun), Butmonom (Mars), Blisdon (Jupiter), Brorges (Mercury),Bragles (Saturn) and Bagenol (Moon). The Governors have a similar function in this system to the spirits and they work at the closest level to material substance. In addition to this Dee mentions the names of 42 ministers for each planet. These are more spirits and their names can be found in the Heptarchia Mystica of John Dee edited by Robert Turner. Their use is a beyond the requirements of a Zelator. The Angels of the Bonorum are Planetary and are connected to days of the week and equally the days of creation. These are arranged in terms of Planets and thus everything can be placed on the diagram of the seven-branched candlestick diagram which is presented to the candidate in the 1=10 ritual. Chakras but the corresponding system in the West are the spheres on the Tree of Life. If we look a the ritual we find that the description of the seven branched candlestick mirrors what we have looked at in regards to the Angels of the Bonorum . But the ritual also gives us other clues to the meanings of these angels. It points out that each Angelic King controls seven directions Zenith, Nadir, East, West, North, South. So then what can we do with this knowledge. 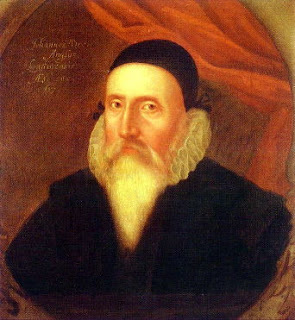 After all it is all very well saying that you can make a direct link between John Dee’s and the Angels of the Bonorum and the Seven Branched Candlestick but what good is it to us to use these angels? Dee was given the use of the Heptachic angels very early on in his magical career, long before he started messing around with any Enochian tablets. It seems to me that this low level yetsiratic form of magic is designed to work with the lower aspects of the self and in particular how we interact with our material world. Practically then it is a system of Earth magic which works on the person’s sphere of sensation and onto the physical levels. It is interesting that this is the one system of magic that Dee gives an example of a talisman and it is also significant that it is a healing talisman. It could equally have been magic for money or job, or anything to do with the second, third, and fourth houses of the astrological chart – in short anything to do with the Earth element and the the 1=10 grade. In the 1=10 grade the candidate is supposed to start working on the physical levels as a precurser to their magical work. Normally the effects of the grade are to stuff up their finances and force them to look at life in a less escapist way. Illnesses are also fairly common in this grade. But these are all negative experiences, things which should not happen if the magician was working to bring about change in the correct manner. The Heptarchic Angels give the student a way of working with these energies and participating in the transformation.